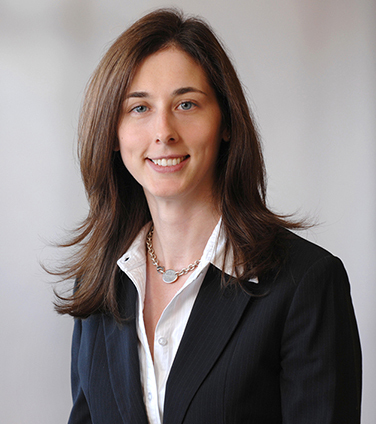 Rosalind practices corporate and securities law in the business law department of the firm’s Toronto office, with an emphasis on corporate finance and mergers and acquisitions. She has been involved in a wide range of transactions, including the private placement and public offering of debt and equity securities, private and public M&A and reorganizations. She also advises on general corporate and public company matters. In 2009-2010, she completed a six-month secondment to the corporate finance branch of the Ontario Securities Commission. The Underwriters in connection with Stella-Jones Inc.’s secondary public offering and private placement by Stella Jones International S.A.
Hydro One Limited in its offering of $1.4 billion 4.00% convertible unsecured subordinated debentures represented by installment receipts. Hydro One Inc. in the renewal of its $3.0 billion medium term note program and related issuances (acted for Issuer). Bought deal offering by Killam REIT of 7,100,000 trust units (acted for Underwriters). Cross-border MJDS Offerings by Telus Corporation of US$600 million 2.80% Notes due 2027, $500 million 3.20% Senior Notes, Series CO due 2021, $500 million 4.85% Senior Notes, Series CP due 2044, $400 million 3.60% Senior Notes, Series CM due 2021, and $400 million 5.15% Senior Notes, Series CN due 2043 (acted for Agents/Underwriters). Secondary offering of Class A subordinate voting shares of Shopify Inc. (acted for Selling Shareholder). Shoppers Drug Mart Corporation in the renewal of its $1.0 billion medium term note program and the offering of $225 million 2.01% Notes due 2016 and $275 million 2.36% Notes due 2018 (acted for Issuer). Offerings by Rogers Communications Inc. of US$500 million 2.90% senior notes due 2026, US$700 million 3.625% senior notes due 2025, US$300 million 5.00% senior notes due 2044, $850 million 4.10% senior notes due 2023 and $650 million 5.45% senior notes due 2043 (acted for Agents). Various bond offerings by OPB Finance Trust, The Goldman Sachs Group Inc. and J.P. Morgan Chase & Co. (acted for Issuer) and by Tim Hortons Inc. and Reliance LP (acted for Agents). DREAM Unlimited Corp. in the offering of 3,680,000 Class A Subordinate Voting Shares (acted for Issuer). Capital Power Corporation in its medium term note exchange transaction with Capital Power L.P. and establishment of its medium term note program (acted for Agents). Livingston International Inc. in its Offer to Purchase and Consent Solicitation for 10.125% Senior Unsecured Notes due 2015 (acted for Issuer). Entertainment One Ltd. in various acquisitions, including its acquisition of Alliance Films Inc. and its concurrent acquisition of five film and television production and distribution companies. Duff & Phelps Canada Limited in its acquisition of Campbell Valuation Partners Limited and Veracap M&A International Inc.
Manulife Financial in its acquisition of Benesure Canada Inc.
Fiera Capital Corporation in its acquisition of Canadian Wealth Management Group Inc.
Royal Bank of Canada in its $2.2 billion acquisition of Royal Bank of Trinidad & Tobago. Icahn Associates Corp. in its unsolicited tender offers for Lions Gate Entertainment Corp. and related proxy contest. Marwyn Capital Ltd. in its acquisition of the operating subsidiaries of Entertainment One Income Fund. Dream Asset Management Corporation in connection with the spin-off of DREAM Unlimited Corp. by Dundee Corporation by means of a plan of arrangement. Entertainment One Ltd. in its continuation from the Cayman Islands to Canada and its step up from AIM to the standard list of the London Stock Exchange. Canwest Global Communications Corp. in the reorganization of its ownership of its Australian media operations. IFLR 1000: The Guide to the World’s Leading Financial Law Firms, 2019: Highly Regarded, M&A. IFLR 1000: The Guide to the World’s Leading Financial Law Firms, 2017-2018: Rising Star, M&A.